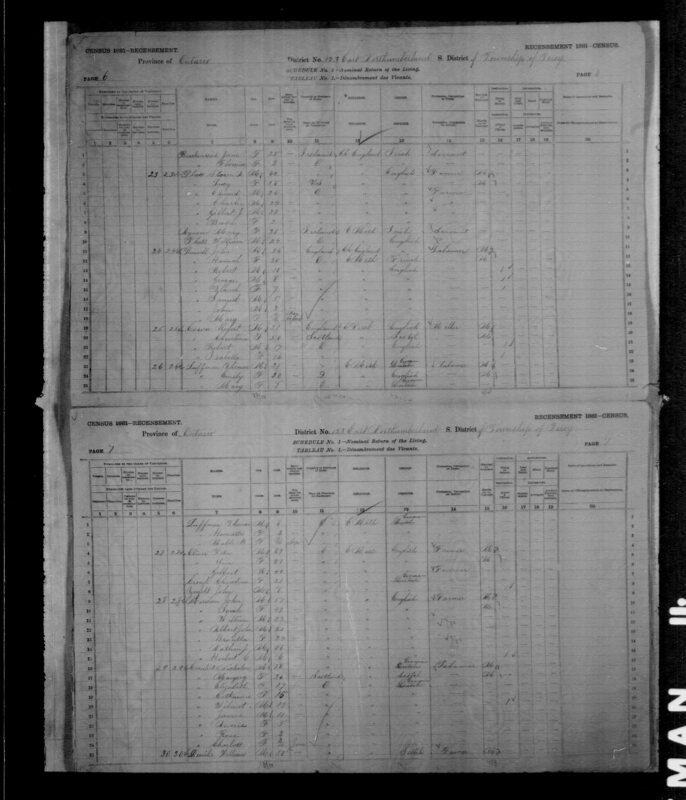 [S473] BIRTH Record: Ontario, CANADA, Birth record for Florence (daughter) states father's name is Albert John Merriam. (Reliability: 3). [S350] 1891 CENSUS: Ontario, CANADA, (1891 census of Canada. RG 31. Library and Archives Canada, Ottawa, Ontario. ), Percy Twp, Ontario, Shows age 29. (Reliability: 3). [S361] 1881 CENSUS: Ontario, CANADA, (1881 census of Canada. RG 31. Library and Archives Canada, Ottawa, Ontario. ), http://data2.collectionscanada.gc.ca/e/e328/e008177485.jpg (Reliability: 2). [S31] DEATH Certificate: Ontario, CANADA.